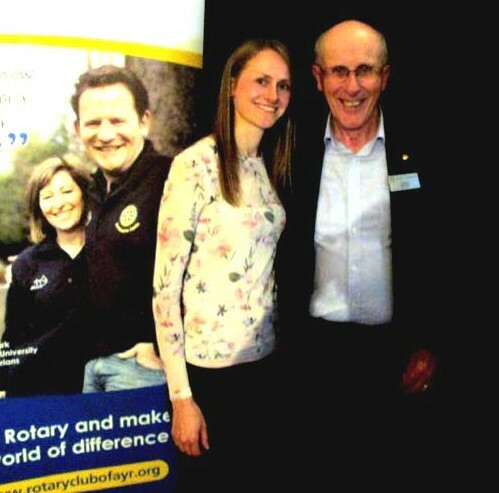 Gillian Craig, creator of the “Gillian’s Walks” blog ( https://gillianswalks.com/ ) , and the Ayrshire Coastal Path’s very first female pathminder, was our guest speaker on a special pathminders’ evening. Three other pathminder guests (Bob Gibson, Peter Galloway and Bill Mullin) joined us to listen to Gillian’s presentation. When she was a child, Gillian’s parents had been keen walkers and mountain climbers and were responsible for Gillian’s initial interest in the great outdoors. She celebrated her 12th birthday, at 12 noon, on the 12th September on the summit of Goat Fell. Recalling her later student years at Stirling University (gaining an international management studies degree) Gillian confessed to losing interest somewhat in the outdoor life after being refused membership of the university climbing club because she was a woman! Fast-forward eighteen years and Gillian found herself, unemployed (due to redundancy) and a stay-at-home mum with two young sons. She took to walking her sons in their buggy in order to have opportunity to do some clear thinking about her future and it was during one of these walks that she experienced her “light-bulb moment”: she would set herself a 100-walk challenge! Gillian began blogging about her 100-walks (completed in December 2016) and was pleasantly surprised how popular the blog quickly became. This encouraged her to develop the blog into a more sophisticated, searchable website which, along with a linked Facebook page, became an almost-full-time commitment. More recently, Gillian has added a “Viewranger” link which allows others to download the route map to their mobile phone to then follow in Gillian’s footsteps on any of her walks. 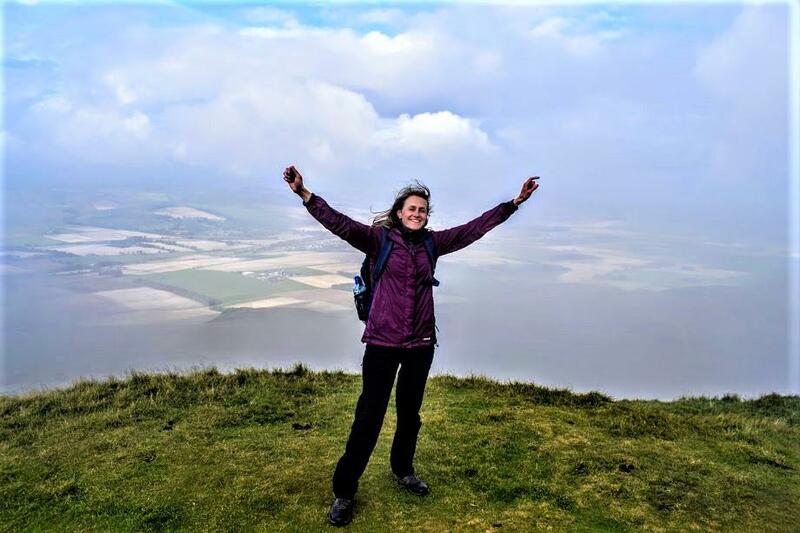 The 100-walks were followed by a 7-summits challenge, including Ben More, Conic Hill and Earls Seat, and then by others like hiking the Three Lochs Way and setting up the Keep-Walking-Kilmarnock group challenges. By 2017 her website had 92 subscribers and 5000 views/month. Gillian’s most recent activities have been the 1000-miles-in-a-year challenge (less than 100 miles to go! ), the Affric-Kintail Way, the Kintyre Way, and the ACP (her favourite of course!). These walks have assisted charitable causes and, in particular, been beneficial in raising funds (currently around £1000) for the Mark Mcloskey Foundation, an epilepsy charity. Gillian finished up by thanking the ACP pathminders for their ongoing endeavours which have assisted in making Ayrshire, in her opinion, one of the best walking destinations in Scotland. On Gillian’s own site, 75% of walks are in her native Ayrshire, including a full report about her walking the ACP. Jimmy Begg proposed a very grateful vote of thanks to Gillian and praised her for her creativity, determination, and writing ability.